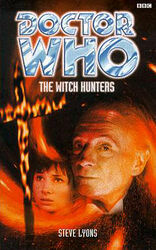 In May 1997, Virgin's licence to publish Doctor Who fiction reverted to the BBC, who henceforth began publishing two series of original novels, one featuring Paul McGann's Eighth Doctor, and a "past Doctor" range, featuring the previous seven Doctors. The past Doctor range continued steadily for several years until 2005, when two things happened. First, publication of the range was paused in the first half of the year, around the launch of the new series (and its attendant range of new series novels). Then, at the end of 2005, the BBC put off announcing any further novels in the range (i.e. focussing solely on the new series novels). So the past Doctor novels are currently in hiatus, much as the classic series was after 1989 — with neither an official report of cancellation, nor any announced plans for new novels. Below is a list of the 76 novels published to date. Practically all the books feature familiar television companions, and there are also regular appearances from old enemies, including the Daleks, Cybermen, the Master, and several more. Click on any title to see more details about that particular book, click on a rating to add your vote, or click on one of the "Buy" links to purchase online from Amazon.com or Amazon.co.uk, or to search for a copy on eBay.